For this article I'll assume that you have already chosen the mic, its placement, the preamp, and everything else. Don't worry, I am well aware that we haven't discussed this yet, but we will tackle every single detail later on. This order of things might seem a bit strange, but if you bear with me you'll see that it's not like I'm putting the cart before the horse. Who would you say would do a better job, a blind painter equipped with the best brushes and an endless selection of paints or a seasoned painter with more rudimentary tools? I think the answer is obvious, isn't it? Well, the musician, and even more the singer, "sees" with his/her ears. That's why we are spending a lot of time with the cue mix before even mentioning a mic. A second point I would like to stress before diving into the heart of the matter is the need to prepare as much as you can before the recording session itself takes place. The singer is here to sing, not to see you plug any cables or wait in a corner while you solve some technical issues. And you should observe this even if you are the sound engineer and singer at the same time. 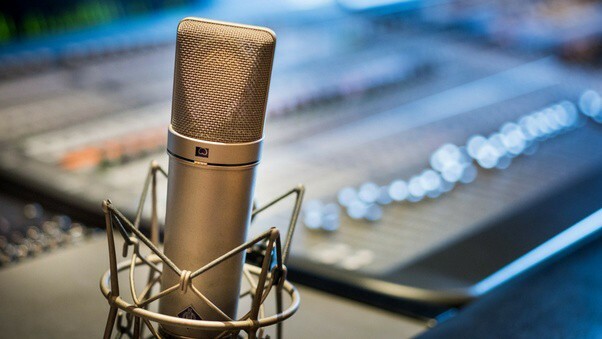 So, make sure that everything is ready before the recording session so that you don't have to worry about any technical considerations and can focus on the takes themselves. This obviously includes all the gear (mic, preamp, cables, etc. ), but also the practical side of things (talkback, creating the session in your DAW, etc. ), which obviously concerns directly the topic of the article, i.e. the headphone mix for the singer. Before wrapping up this introduction it's important to remark that this method is just that, a method like any other. I've been using it successfully for many years but I wouldn't even dare to suggest that it's the only and best way to do it. If you do it another way, I'd really appreciate it if you could share your method with us in the comments on the forum! Okay, let's move on now to more important things. 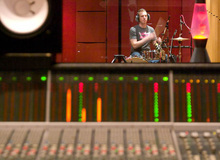 Once the singer has positioned him/herself in front of the mic and has the headphones on, the method to create his/her cue mix and, at the same time, set the recording level, consists in seven steps. Today we'll focus on the first two. Start by dialing in the level of the backing track sent to his/her headphones. This means you should have previously pre-mixed the instruments already recorded and/or the pre-production stems according to what you consider best for the vocal recording. This pre-mix will obviously still have to be readjusted later on, depending on what the singer wants, but for the time being just focus on the overall level of the mix being sent to his/her headphones. The goal is to get a listening level that is comfortable for the singer, no more and no less. Once that's done, memorize the setting and bring it down halfway. Now set the level of the recording and the vocal signal sent to the headphones. If the singer is puzzled or bothered by this procedure, tell him/her that your goal is to create a nice vocal sound so that he/she can perform as comfortable as possible and that's why the volume of the instruments is lower but you'll bring it up again when the moment comes. As far as you are concerned, the difficulty lies in having to handle both the recording and cue mix levels at the same time. Start playback of a part of the song that's representative, like the chorus, and ask the singer to do his/her thing. Dial in the level so that the peaks oscillate between -15 and -10 dBFS. At the same time, gradually increase the vocal signal on the cue until the the singer is comfortable with the level. But be careful, the recording and vocal send levels are interdependent! In other words, the singer will sing differently depending on the level of the vocals on the headphones, which will affect the recording level, which will affect the cue level of the vocals, and so on. Your job is to make small adjustment to make a virtuous circle out of a vicious one. This might take you quite some time at first, but you'll see it's easier and easier as you go along. Now you probably think you only need to pull up the playback level again, right? Wrong! You still have five more steps to go until you're done. There's quite a bit to think about in this article, despite what the most experienced among you might think. So, I'll stop here and continue with the next steps next week!